All about the Ava, Sagaing, Amarapura and Mingun Day Tour. Mingun, the place of diverse and unique localities as well as the foundations for what would have been the biggest temple in the world. 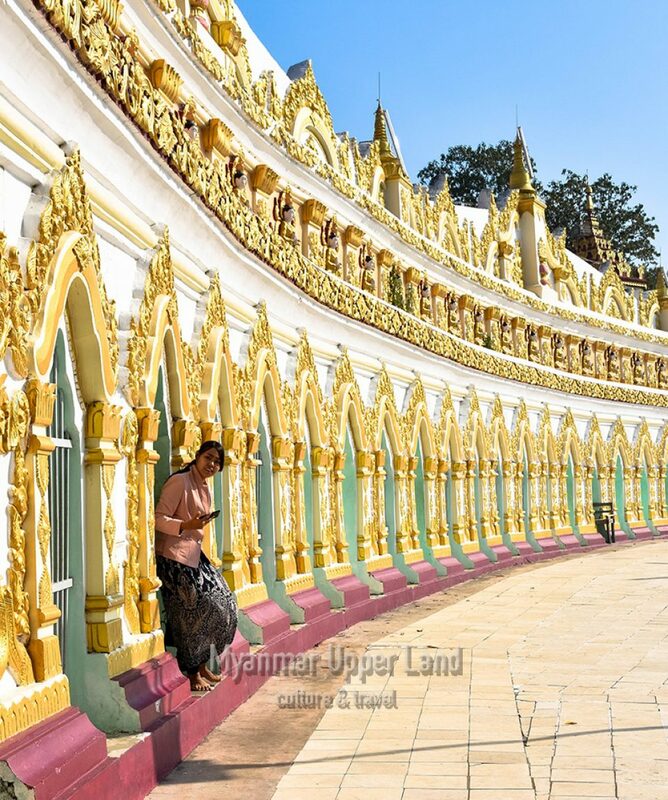 Sagaing, with the jaw-dropping view of green hills crowned with white and gold pagodas, monasteries, and nunneries. Inwa, once known as Ava, one that survived the longest with its rich history, is a remarkable country site with ruins, monastic buildings, and stupas. Walk on the famous world’s longest teak footbridge (Oo Bein) made with teak beams from a former Amapura palace and local traditional handmade weaving workshops nearby. 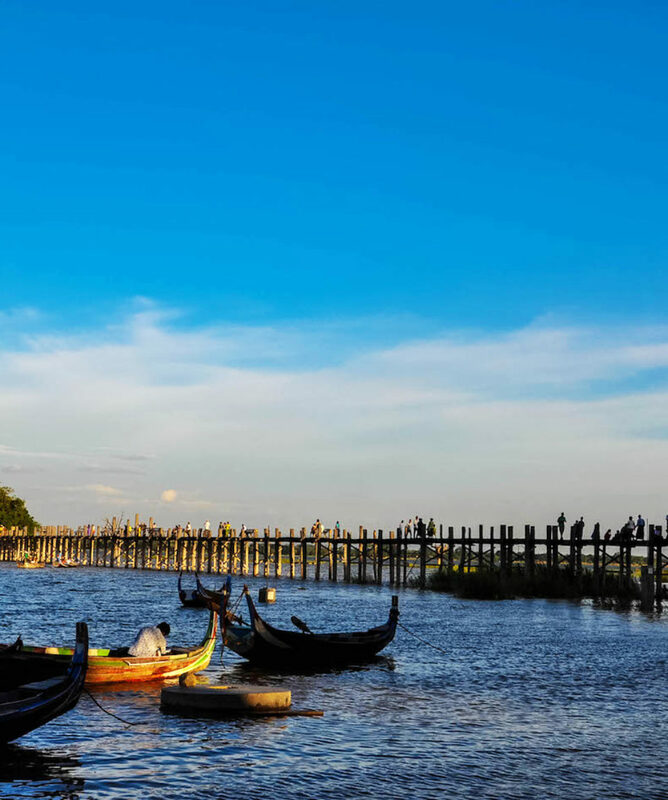 Charming historical monuments, religious sites, and traditional handicrafts in this trip are to get a clearer picture of Mandalay’s ancient past. 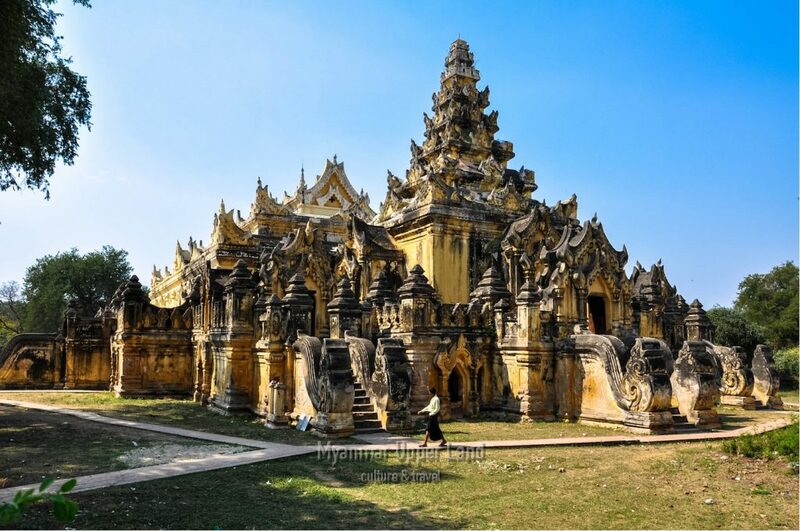 Your tour guide will pick you up from your hotel in Mandalay at 8:00 am and continue drive first to Mingun, the rural village area which is home to the world’s largest uncracked ringing bell, the largest brick base Pathodawgyi Pagoda. 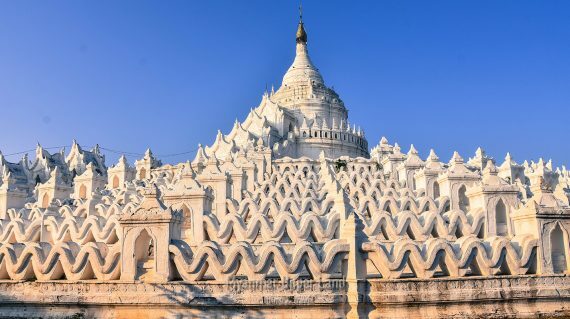 The last sight is the Hsinbyume Pagoda also known as Myatheindan Pagoda with a distinctive architectural style and a bright white structure that visitors can enter and explore. 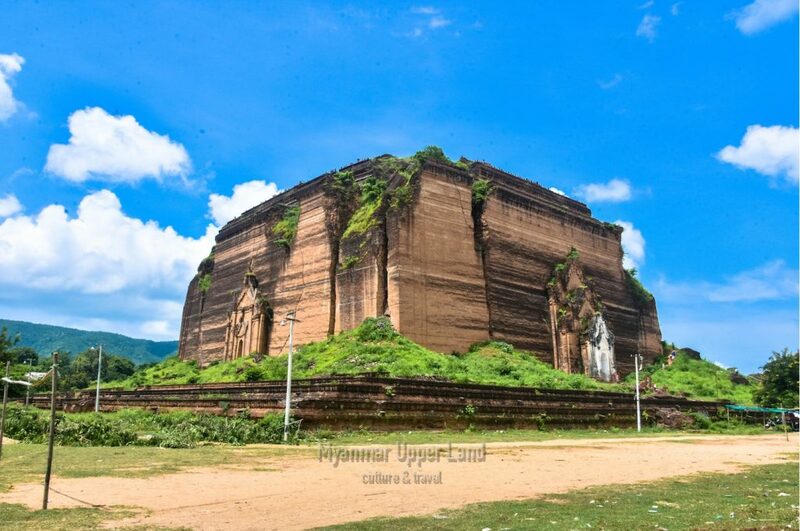 It is one of the most notable attractions in all of Myanmar. After studying the sights in Mingun, we will drive back to Sagaing Hill where you can enjoy the panoramic view at the top of the Hill cover with numerous pagodas and monasteries. 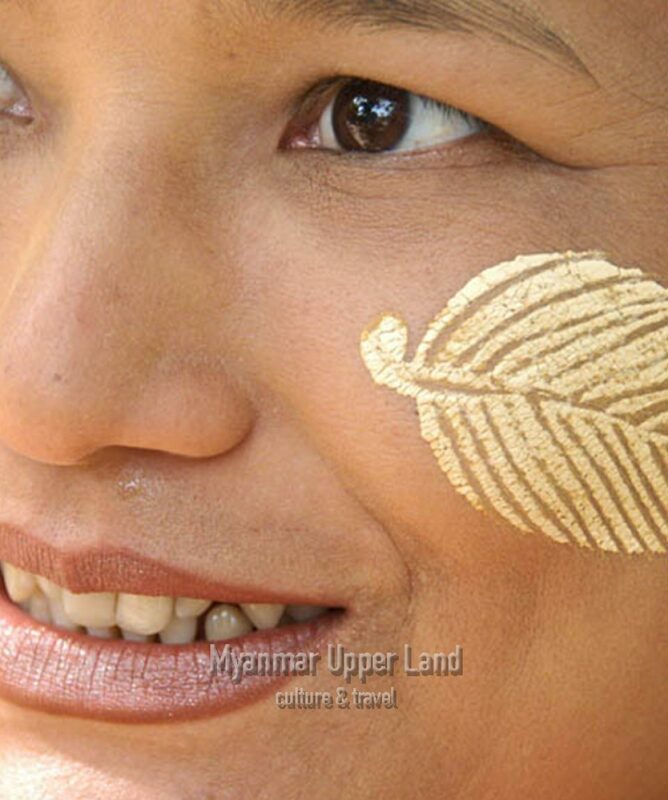 Then, Silversmiths, Myanmar local handicraft workshop will be observed in Sagaing. In the afternoon, continue leaving for Inwa (also known as AVA), a former royal capital of the Myanmar Kingdom located on the confluence of the Ayeyarwaddy River and Myitnge River. After a 3-minute boat ride by crossing a small river, you will take a local horse cart for a visit. Once there, you will visit the Maha Aungmyabonsan Monastery, and the Nanmyint Tower, known as the “ leaning tower of AVA”, before heading to the Bargayar monastery. Finally, you will continue to Amarapura, where you can explore the silk-weaving factories and U Bein (a wooden bridge), for a beautiful sunset. Then at around 18:00 you will be taken back to your hotel in Mandalay. Is entrance fees included in the tour price?Can I book this tour in last minute?I am solo traveler and can I book this tour?Is there vegetarian option if I book lunch add on?What do I need to bring for this tour? Is there vegetarian option if I book lunch add on? Usually, the Combo tickets (Zone fees/ Entrance fees) for this tour is not included in our price in case you already bought a Combo ticket before your tour. If so, we recommend you to bring your Combo ticket with you at all times during your visit (or) our guide will assist you to buy this. This tour can not be booked in the same day of departure and need to book in advance. We recommend you to book this tour at least 15 hrs in advance to have secure arrangements especially in high season (October to March). Yes Vegetarian option is available, please advise at time of booking if required. We suggest you carry slipper and something to protect from the sun and the dust. Shorts or sleeveless tops and shoes are not allowed to enter the place of Pagodas and Religious area. Thanks to my guide Papa I had a wonderful day and learned a lot about all these old places and cities. She is a very kind person with a lot of knowledge about Myanmar in general. The day is packed with great sights and we did not spent much time on the road. Lunch in a restaurant was also nice. 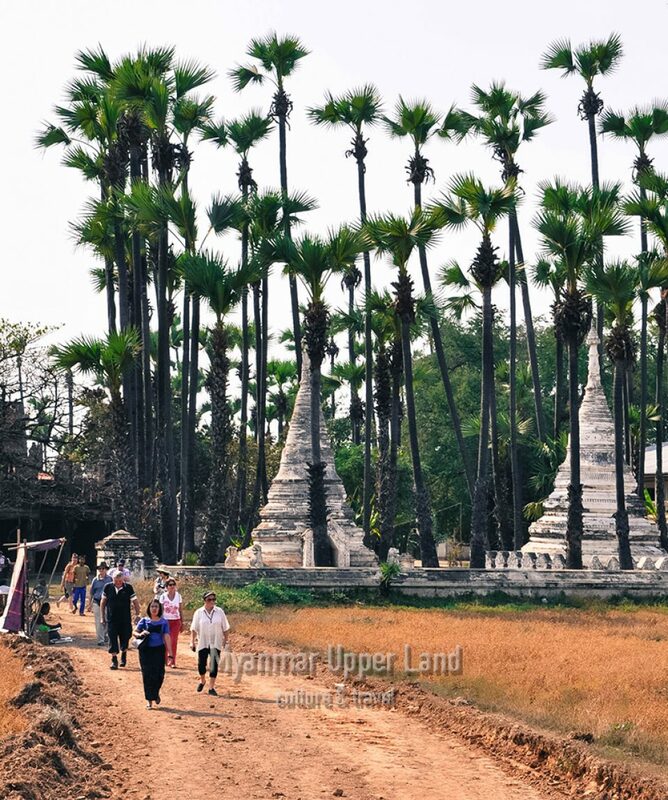 We had a really great experience visiting the four ancient cities of Mandalay on this tour. The sites that you are shown are truly spectacular. Our tour guide was so knowledgeable about each site and Myanmar’s history. We were taken to a great restaurant for lunch which served delicious food. I would definitely recommend this tour to others who are visiting Mandalay. The comfortable minivan arrived on time with a driver and the very eloquent Ms Pa Pa as my guide. There is a lot of ground to cover but I feel that I saw most of the really important sites around Mandalay. Very pleasant lunch was available in Saiging and not at all expensive. We duly ended up at U Bein bridge for the obligatory sunset pictures. Incidentally Ms Pa Pa was an excellent photographer and always seemed to know where the best photo spots were. This is quite an expensive day out for one person but is definitely worth it for the places seen and the information provided. I woulsd certainly recommend this company if you are in Mandalay.